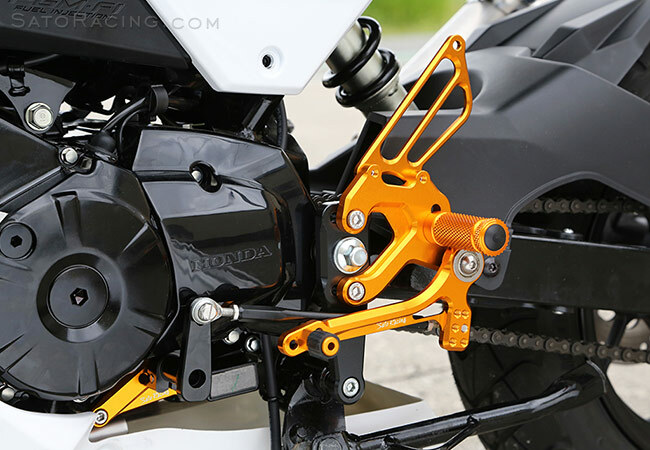 SATO RACING 'Race Concept' Rear Sets for 2016 and up Honda Grom are pure, no-compromise race-spec Rear Sets, designed for track-only bikes. 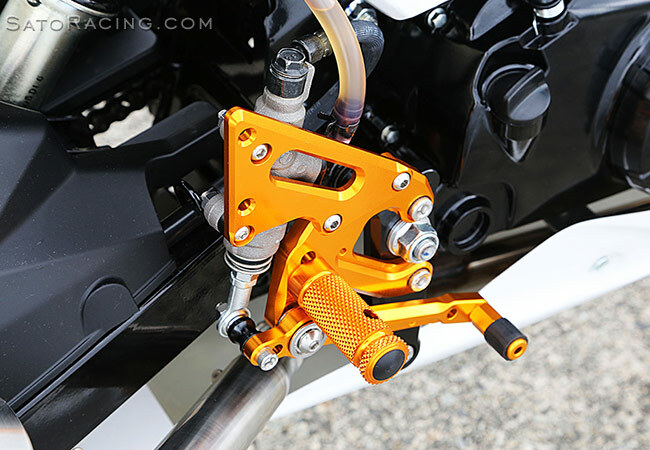 CNC-machined out of high strength billet aluminum, these racing Rear Sets provide a dedicated GP-style reverse shift pattern, and feature special short-style foot pegs and pedal tips, to help maximize lean angle during cornering. 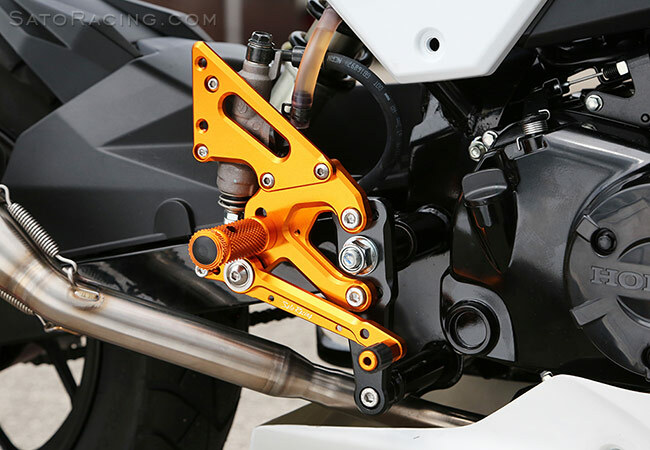 Provides 2 adjustable positions for mounting the step plate, and the foot peg is also adjustable 2 ways, for a total of 4 possible positions. The range of positions is much more agressive compared to stock, bringing your feet significantly higher up and further back. 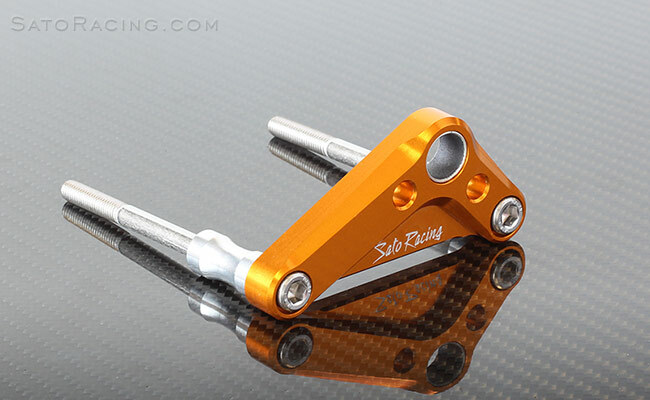 Available in a vivid Gold anodized finish, with contrasting Black base plates. NOTE: Not for street use - Not brake light switch-compatible. Not compatible with the stock exhaust (there is no bracket to attach the stock canister hanger). 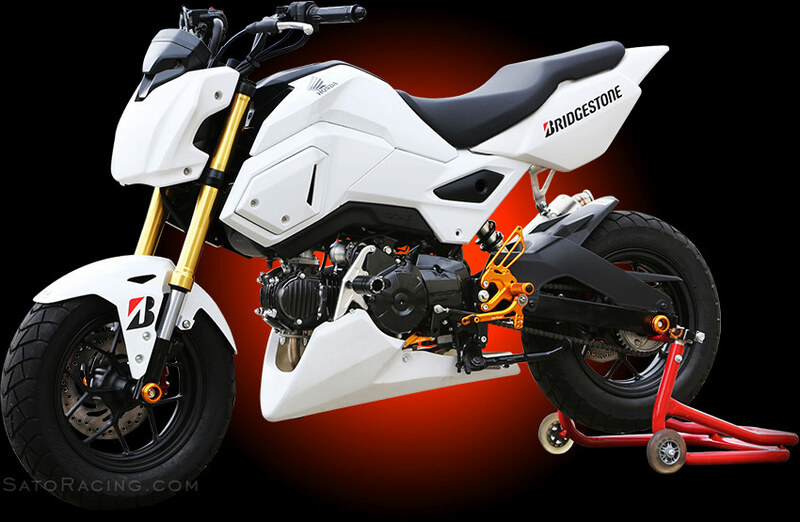 (For more street-friendly Rear Sets that are compatible with the stock rear brake light switch and exhaust, see our standard version Rear Sets for 2017 Grom). We also have an optional Shift Spindle Holder that works great with these Rear Sets, reducing play in the shift spindle for more precise shift action. 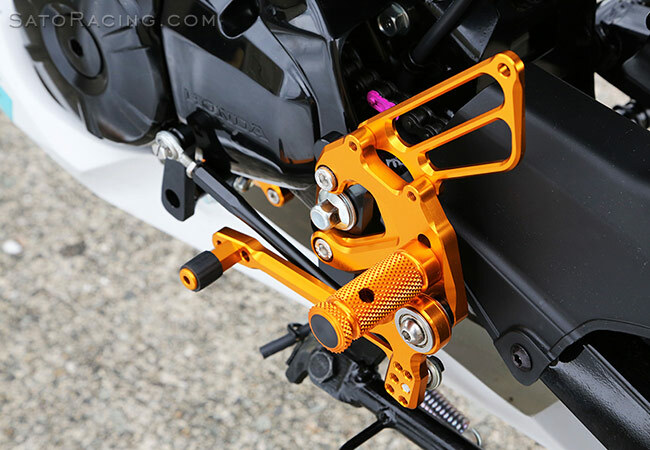 You can adjust the mounting positions of the Step Plate, Foot Peg and Pedal Tip. Short-style Foot Pegs have a finely knurled grip pattern for excellent feel. Compact aluminum Pedal Tips with fluted rubber grips are slso standard. 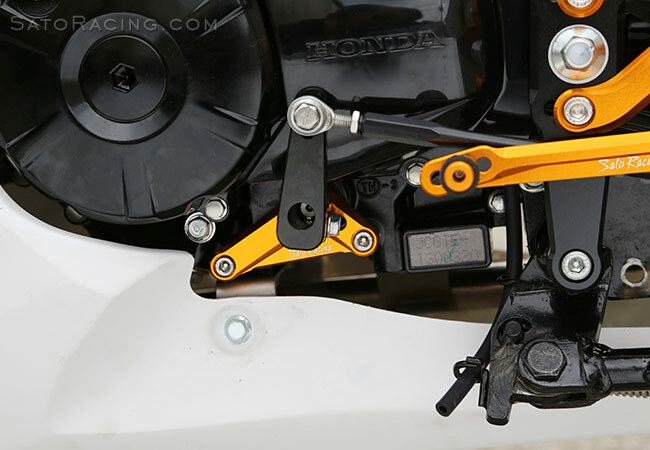 This combo gives these Rear Sets a very low profile, so you can go for steeper lean angles in corners without worrying about grinding down the pegs. 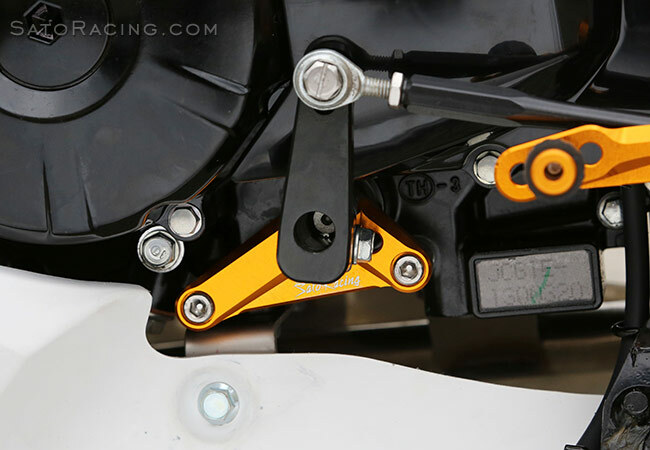 These Rear Sets provide a dedicated GP-style reverse shift pattern.